Hello everyone! Last Monday the new issue of Paper Issues went live: Say It Ain't Snow Cold Outside. The title says enough, it's all about cold weather. 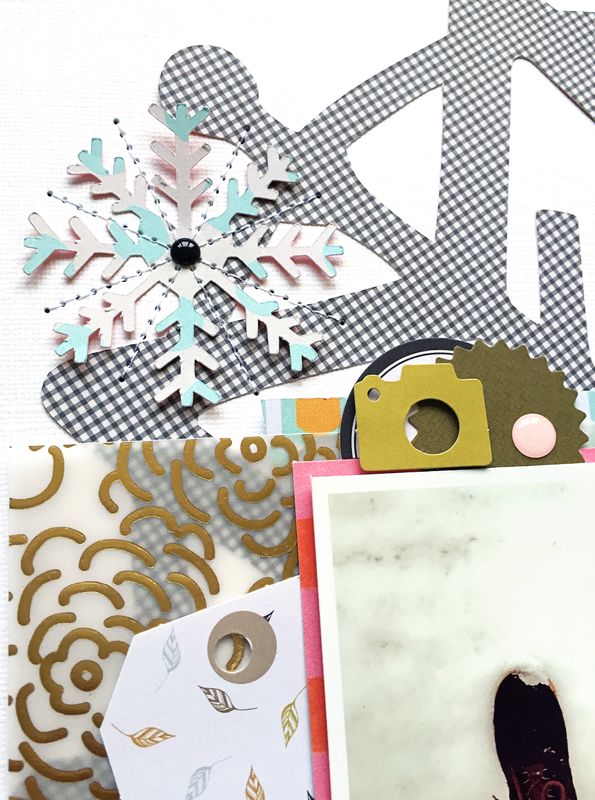 You can link up your own projects that fit this subject overhere for your chance to win a $20 gift certificate to the Paper Issues store!! 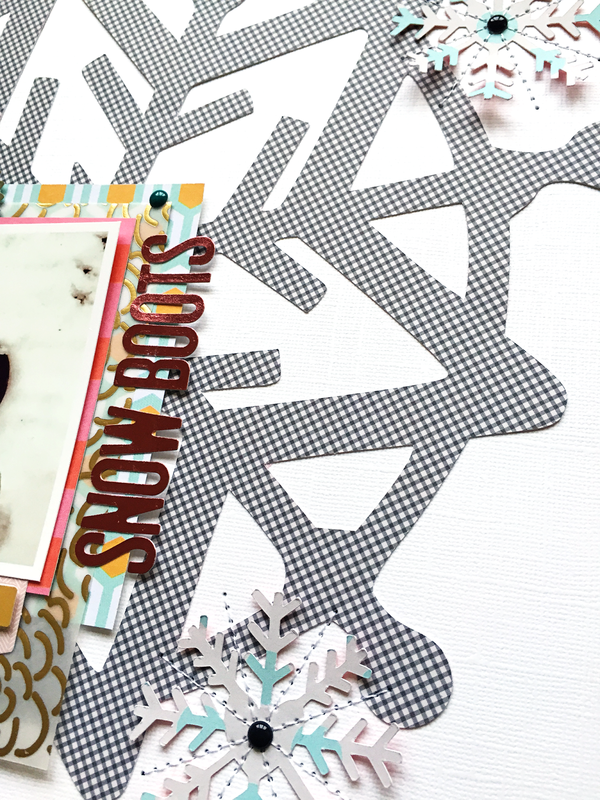 I've made a layout with a mix of the Gossamer Blue On My Desk and Gramercy Road collections and snowflake cut files from The Cut Shoppe. You can find both these gorgeous collections overhere in the Paper Issues store. When you use code DANIELLE20 at checkout, you'll get 20% off of all your purchases! 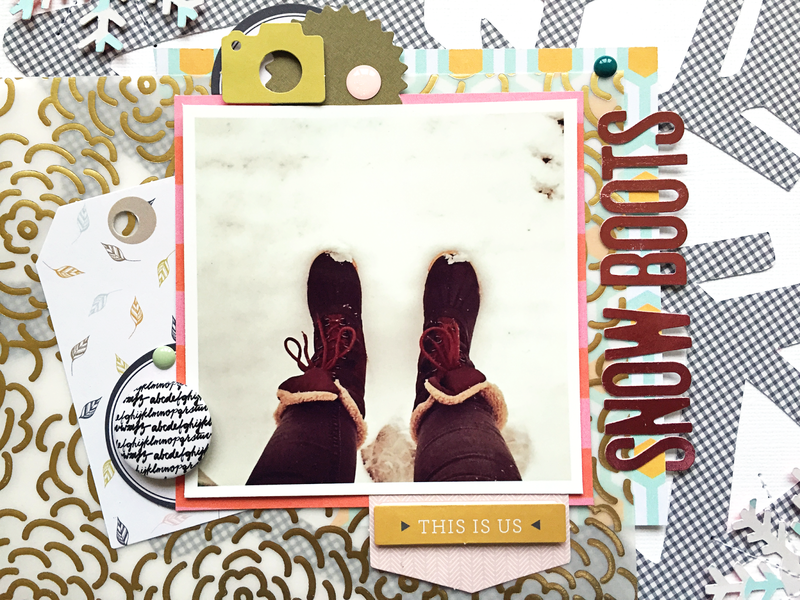 This layout is A-MAZ-ING Danielle! I love the Gossamer Blue and the large snowflake looks so awesome in the background!! I love that large snowflake! Great layout!